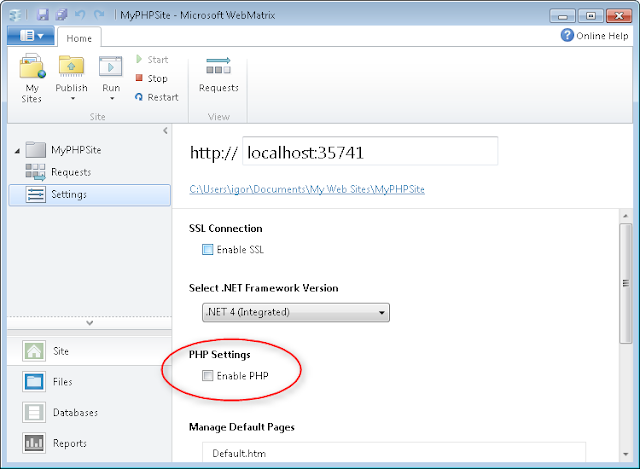 It sounds ironical, but Microsoft really provides a great tool for web development supporting PHP. At first look it is yet another tool to support the native Microsoft .NET technology. In fact I don't remember that Microsoft ever supported non their stuff. But the world is changing and now WebMatrix is not only tool for .NET developing. With WebMatrix you can write a pure PHP web application! It is amazing! Isn't it? 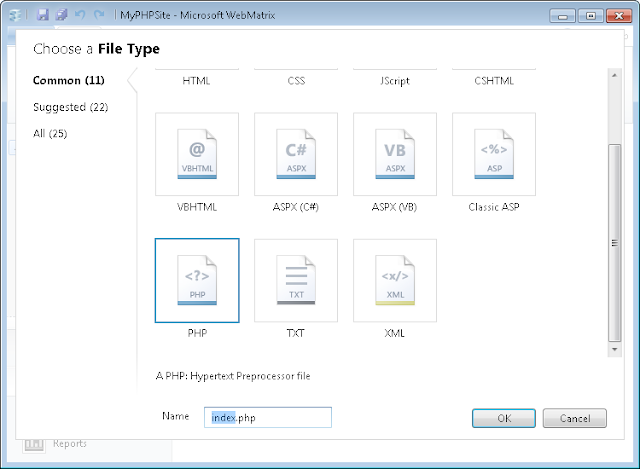 In this post will show you how to start a new PHP web application with WebMatrix. 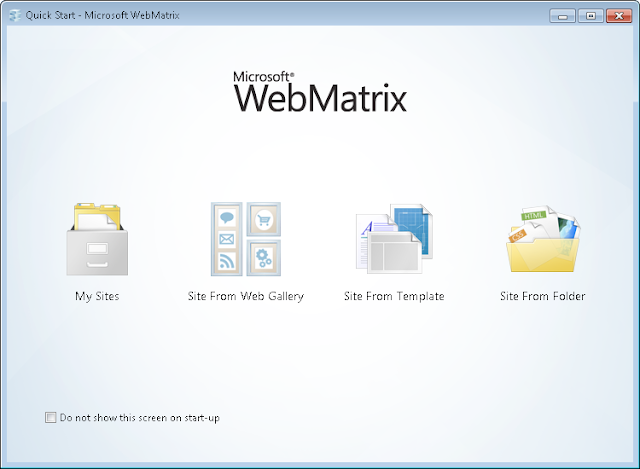 When you first time run WebMatrix you get a splash screen with four option of starting using WebMatrix. 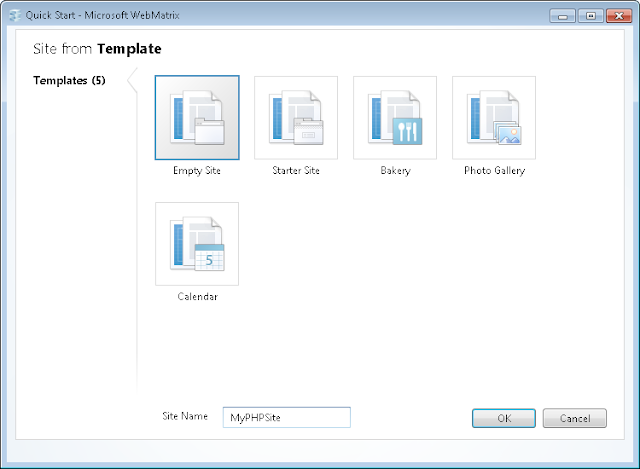 As new WebMatrix user I start with "Site from template" which takes me to selection of template. There you may chose any template from the list, but for keeping this simple I select "Empty Site". By clicking "OK" button WebMatrix create the site and now it is a time to take a look at the site settings. 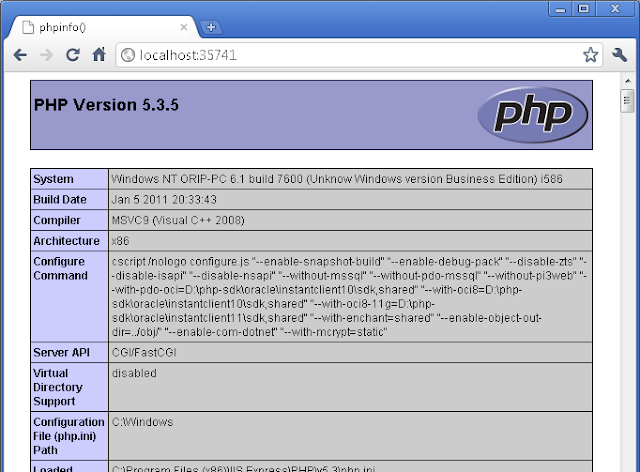 In the settings you will find "Enable PHP" checkbox. That's the thing! 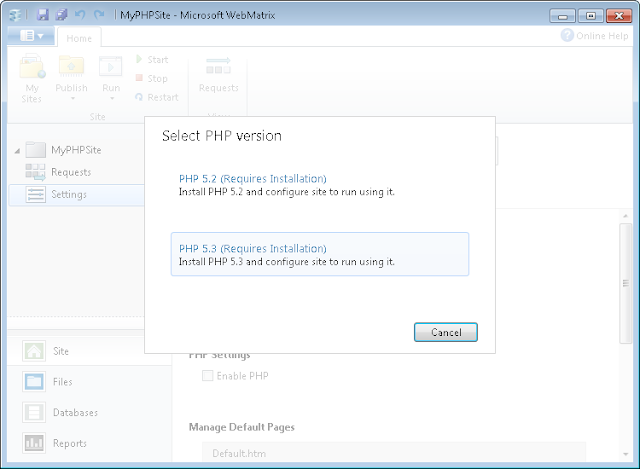 It not only enables PHP, it lets you select which PHP version you want to use! After configuring PHP there is a time to start codding. Switch to to "Files" view and "New" button on the toolbar. It prompts you to select a file type (which is actually file template). 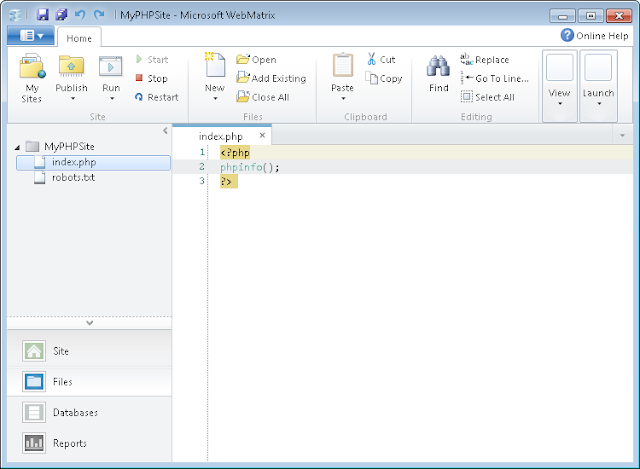 In the list of file types pick "PHP" and name it "index.pxp"
The new file is opened in the file editor. Lets start coding. I replace existing content with 'classic' phpinfo();. As you may see, they have PHP syntax highlighting there! Switch back to "Site" view. 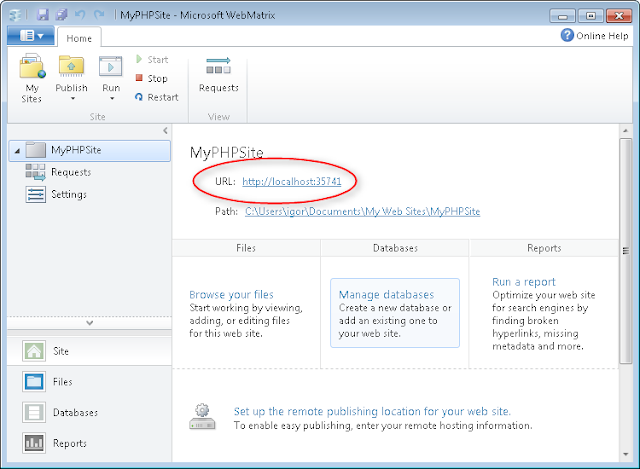 There you may find a URL of web server (IIS 7 express) which hosts this site. Just click the link. That's the story! Microsoft has a free tool for PHP!